AMD has officially announced that their Ryzen Threadripper 2970WX and Ryzen Threadripper 2920X HEDT processors would be launching simultaneously on 29th October. Both CPUs will be compatible with AMD X399 motherboards and offer higher core count and faster clock speeds within a very affordable package compared to the competition. 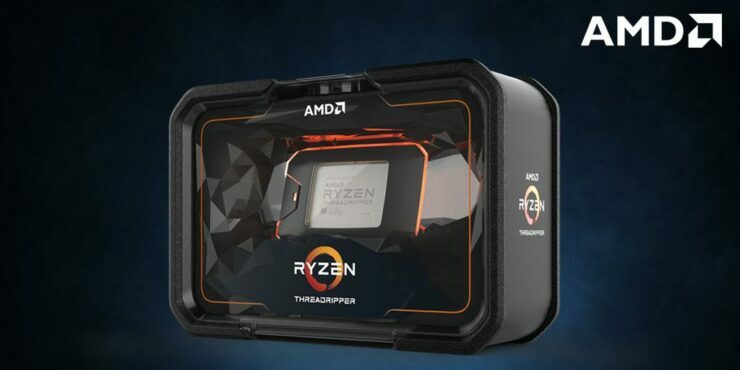 With the AMD Ryzen Threadripper 2990WX 32 core and Ryzen Threadripper 2950X 16 core models already out in the retail market, the red team is now prepping to launch the more affordable of the “WX” and “X” series Threadripper CPUs. These include the 24 core Ryzen Threadripper 2970WX that would cost $1299 US and the 12 core Ryzen Threadripper 2920X that would cost $649 US. Detailed specifications of these processors are mentioned below. The Ryzen Threadripper 2970WX will feature 24 cores and 48 threads for a price of just $1299 US. Intel’s 12 core chip in comparison costs $1200 US so we are looking at twice the number of cores at $100 US premium. The chip features clock speeds of 3.0 GHz base and 4.0 GHz boost (4.2 GHz XFR). We will be looking at 64 MB of L3 cache and 12 MB of L2 cache which totals 76 MB total cache size. The chip will feature the same amount of PCIe lanes as the 2990WX and will have a TDP of 250W and would be supported by existing X399 motherboards, including the refreshed designs which were released the last month by motherboard manufacturers and should be better suited for the higher TDP requirements of the “WX” series lineup. 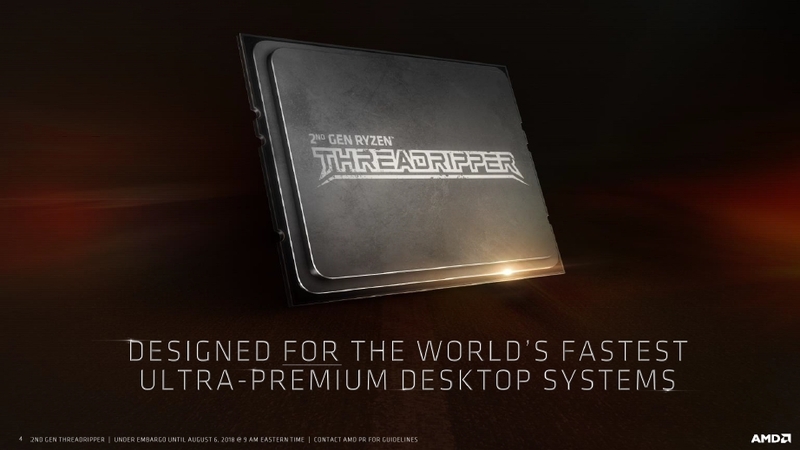 The Ryzen Threadripper 2920X will feature the same core config as its predecessor, the 1920X. We are looking at the same 12 cores and 24 threads. At the same time, the chip will be enhanced by the new Zen+ cores and provide higher clock speeds of 3.5 GHz base and 4.3 GHz boost with a 180W TDP. The chip will also come at a $100 US lesser price tag than its predecessor, at just $699 USD. 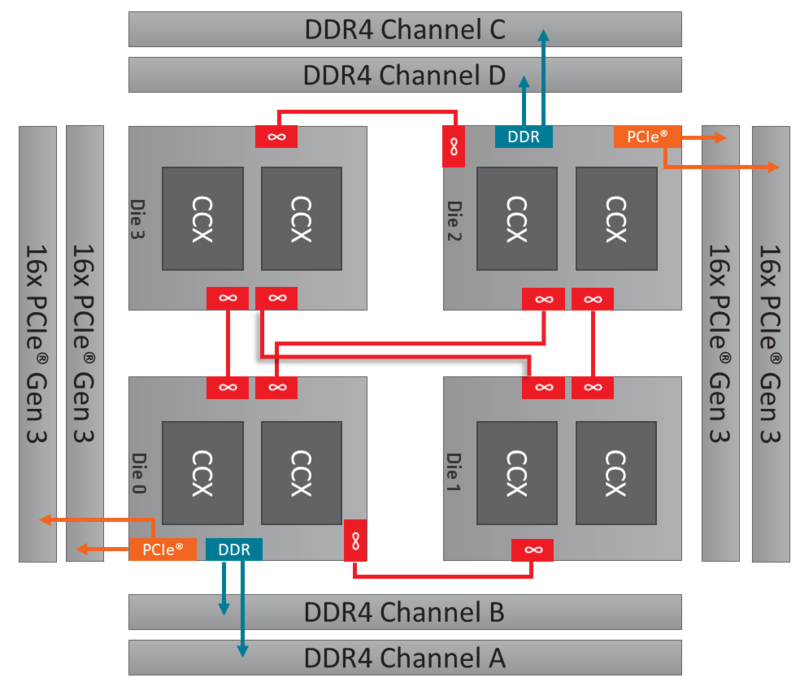 In addition to the product launches on 29th October, AMD will also be delivering the new Dynamic Local Mode for “WX” series processors. The new Mode would allow apps that prefer local DRAM access to automatically receive it, and apps that scale to many cores will be free to do so. AMD is suggesting that this would help increase gaming performance by up to 47%. The option to enable Dynamic Local Mode would be made available in the Ryzen Master Utility through an update on 29th October. What is the Benefit of Dynamic Local Mode? In the applications we have tested to date, AMD has observed performance improvements of up to 47% with Dynamic Local Mode enabled. The below diagram shows a variety of games and applications aided by the new feature, and AMD expects other applications that we have not yet analyzed may also benefit. But we also want to be clear about the fact that not every application will see a benefit, as not every application demonstrates the threading behaviors that Dynamic Local Mode is designed to assist. Even so, it’s clear that some processes really take a liking to Dynamic Local Mode and it’s quite satisfying to see such a speedup from a new and free feature for your platform. How is Dynamic Local Mode implemented? Expect more details on the upcoming processors and the new Dynamic Local Mode features in the coming weeks.